It doesn't take much time to capture a memory these days. With the snap of a phone camera we can take a picture and a few taps to share it far and wide. If you decide not to take that picture, small memories, decisions and days doing great things can be lost. 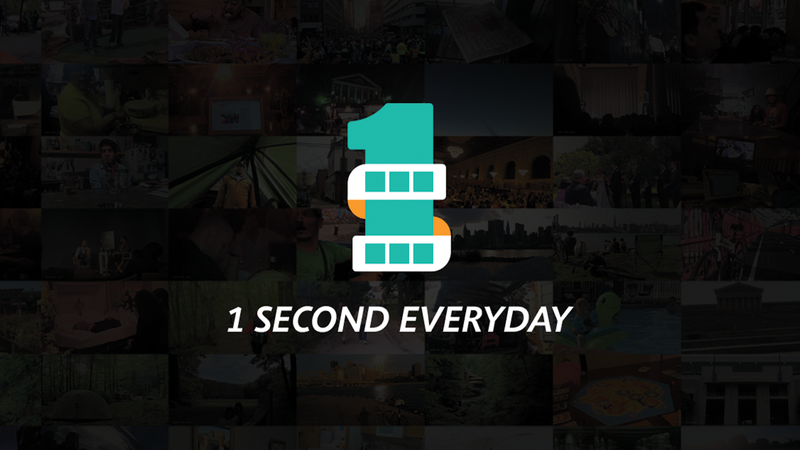 One Second Everyday's app plans to change that. Originally a Kickstarter campaign, Cesar Kuriyama started recording one second of his life when he turned 30 and thinks you should too. It seems many people agreed, as during the 30 day campaign, it pledged more than twice what Kuriyama was looking for. He's also had coverage on outlets such as CNN, so this app is definitely one worth investing in. I've been personally using the app for a little while, and it's brilliant. I even get a notification every day if I haven't filmed my second and you can see all the clips you've taken in a handy timeline, as seen below. If you forget to film a clip within the app for that day, it even lets you import video and photos from your camera roll, giving you the chance to add a video your friend may have sent you that's made your day. This has been more a recent addition, but you can now add your location to the clips as well, giving your memories a new meaning as you can name exactly where you were. You can view your timeline at any time, just tap the play button on the right hand corner. It can be all the clips you have, from a preset or a custom date. So if you want to only revisit the days of your holiday or the build-up to something special, you can do so very easily. Exporting the video for the web couldn't be easier, as there's share buttons that come up at the end of your video, letting you get the web code and share it to YouTube, Twitter, Facebook etc. I'll be sharing my own video next year, so keep your eyes peeled for it. For £4.99 on the App Store and for Free on the Google Play Store, you'd be really silly not to miss out on preserving One Second Everyday and having those special memories in a unique movie for you to look back on in a month/6 months'/10 years' time.